Lot 121 9x5 Brass LNER Oval Steam Locomotive Worksplate. 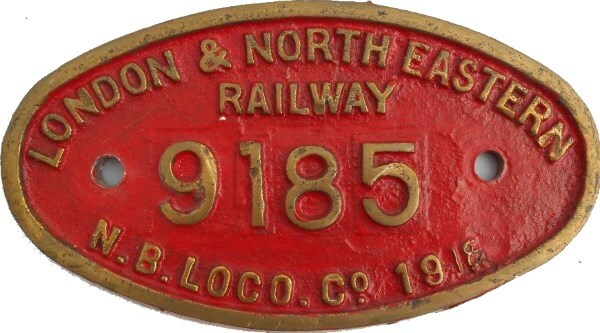 "London & North Eastern Railway - No 9185 - N B Loco Co - 1918". As carried by a N15 0-6-2-T. No 69187. Front restored.